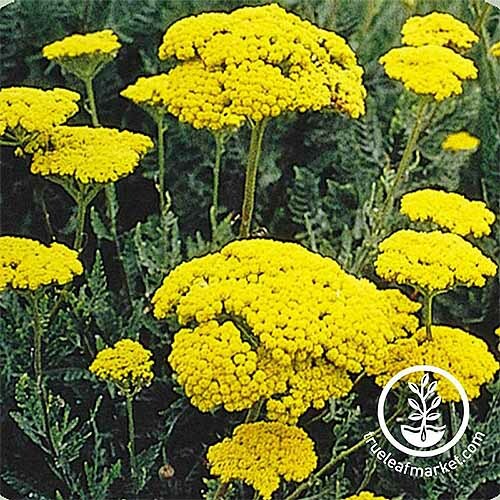 Not just another pretty face in a lush and lazy garden, yarrow (Achillea) earns its keep in the worst soils with the least amount of water. 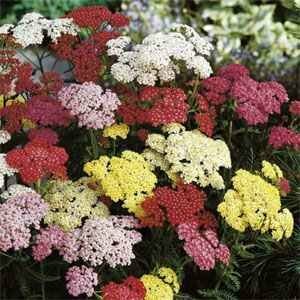 If you’ve got barren areas crying out for color, it’s yarrow to the rescue! 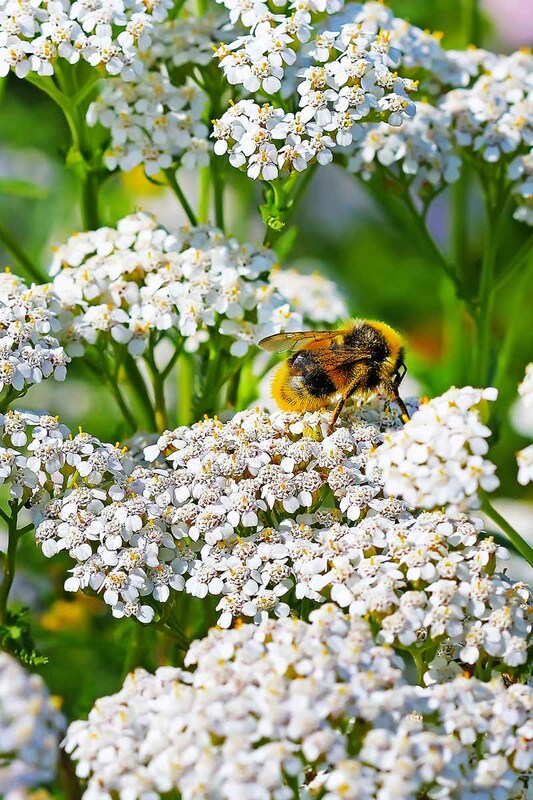 With an illustrious reputation that dates to ancient days in Europe and Asia, yarrow has featured prominently in artistic, cosmetic, culinary, medicinal, and even magical applications around the world. 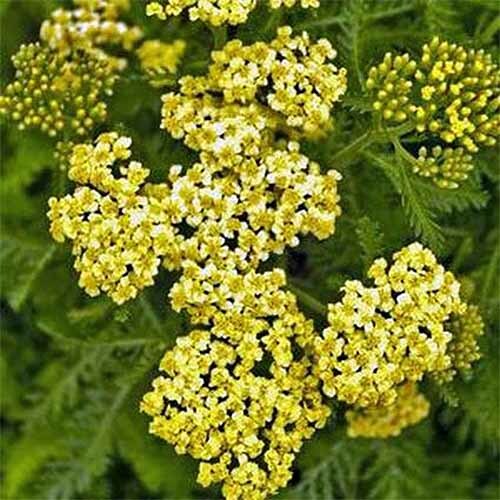 And, while the name Achillea may refer to an early botanist, legend has it that Achilles of Troy used it to treat his wounded soldiers. 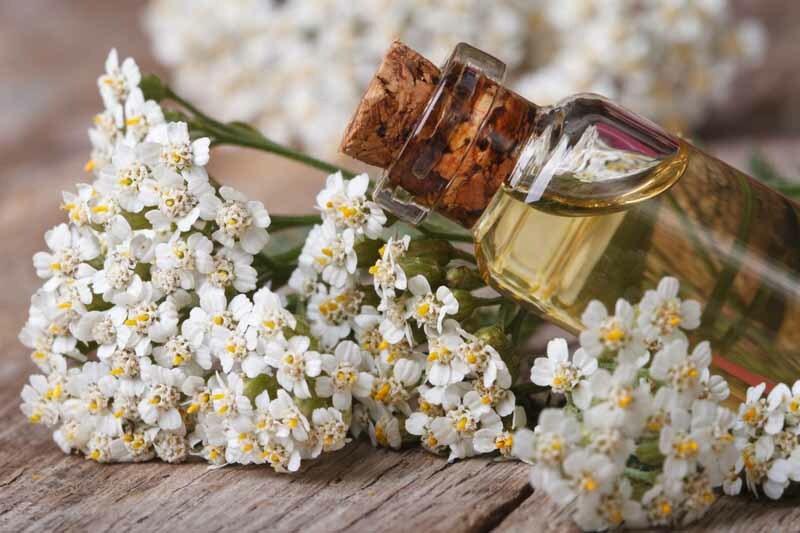 Fast forward to the US today, where strains of common yarrow, Achillea millefolium, as well as modern cultivars and hybrids, are still used in cooking, fresh and dry floral design, and herbal remedies. 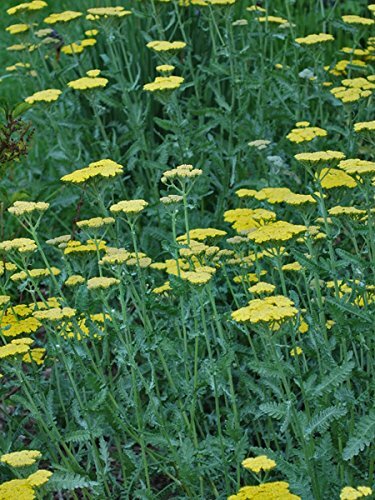 Yarrow is a flowering perennial best suited to zones 3 to 8, although you may have success as far north as zone 2, and as far south as zone 10. This is a plant that is virtually pest and disease free. It prefers a dry environment with full sun, and average to poor soil that drains well. 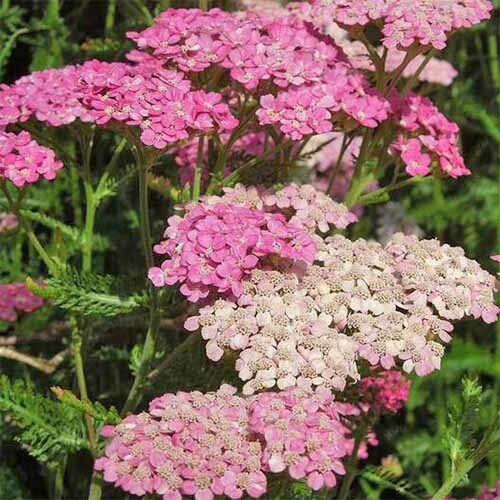 If you try to grow yarrow in the shade and/or in moist soil, it may become weak and vulnerable to aphids, fungus, galls, rotting, powdery mildew, rust, and stem rot. 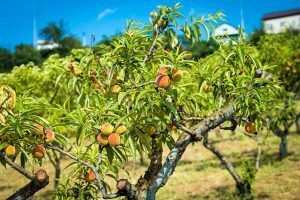 If you cultivate it in fertile soil, be prepared for leggy stems that require staking, and pruning in spring to restore a more compact appearance. 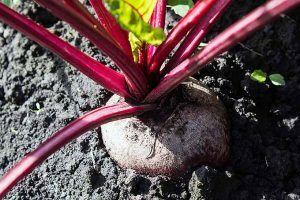 Sow seeds or flowering mature plants directly into gardens or containers in early spring, after the danger of frost has passed. Expect blooms in the second year. 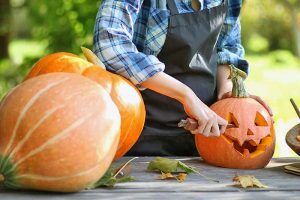 Alternatively, start seeds indoors or in a greenhouse in late winter to get ahead of the game and produce flowers in the first year. 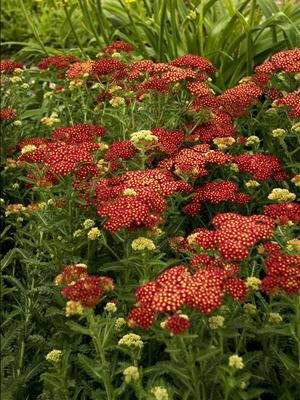 Achillea generally bloom vigorously in spring, and when deadheaded, continue to flower sporadically until fall. 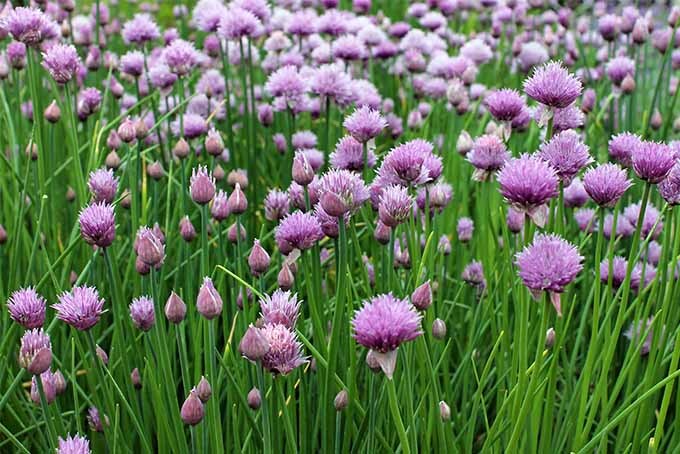 Once established, they are drought tolerant, and seem to share their high level of pest and disease resistance with neighboring plants. Rabbits and deer usually don’t bother with it. 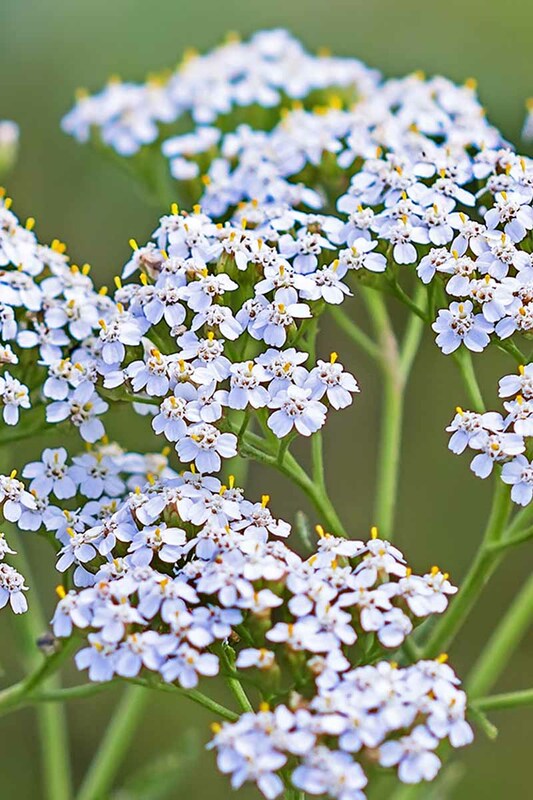 Per the Cooperative Extension Service of the University of Maryland, our backyard yarrow cultivars and hybrids come to us courtesy of five main species: A. clypeolata, A. filipendulina, A. millefolium, A. ptarmica, and A. taygetea. 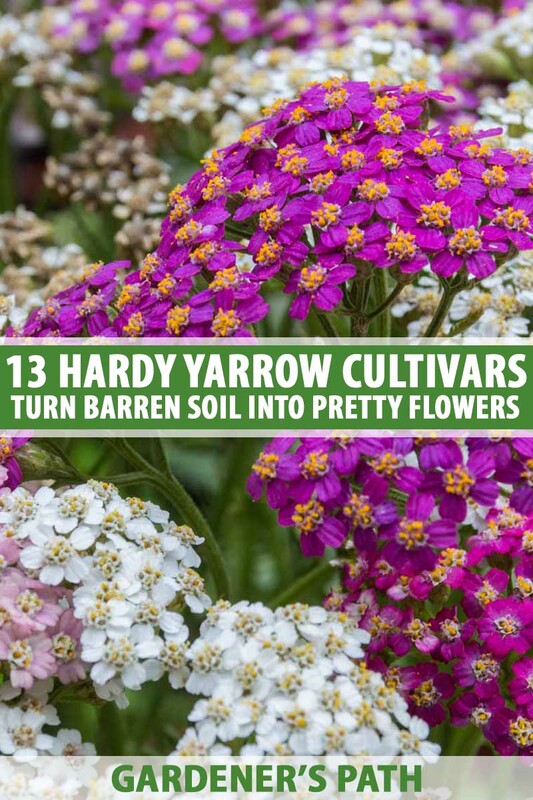 Whether native, introduced and naturalized, heirloom cultivars, or hybrids, yarrow is a vigorous grower that spreads by an intricate system of rhizomes and may require dividing every few years. Other than that, it’s a low-maintenance, water-wise powerhouse. 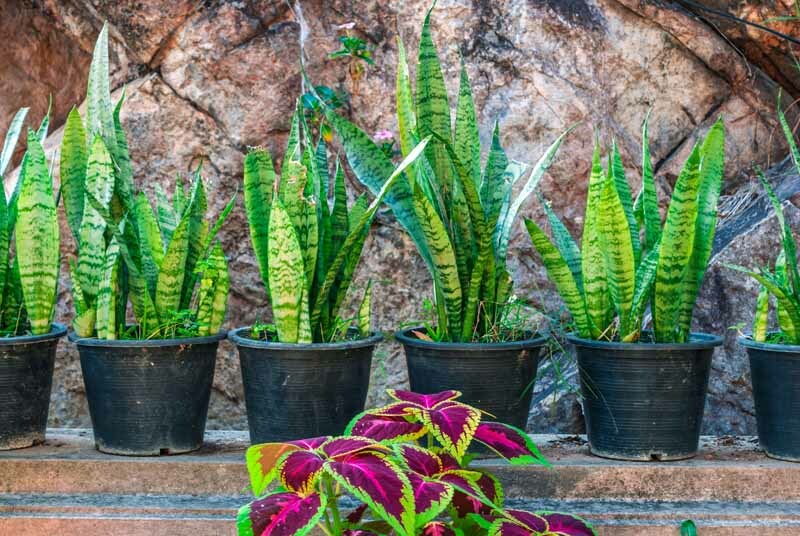 Dividing plants is a fun and cost-saving way to propagate your own. 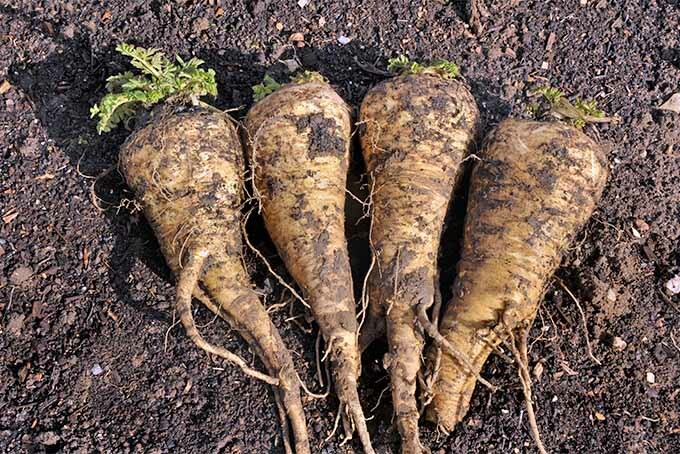 Another option it to take cuttings of soft stems and place them in a rooting medium. 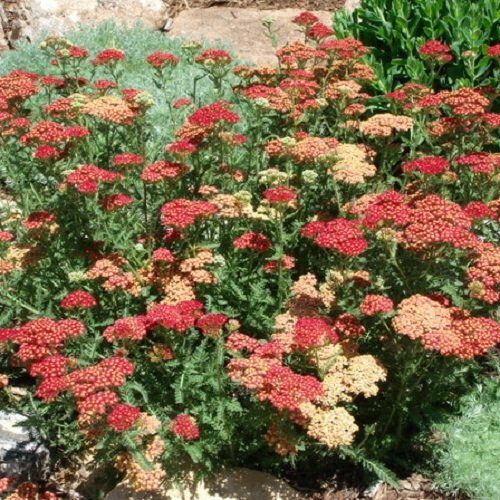 In addition to its exceptional drought tolerance, yarrow withstands the wind and salt of coastal locations. 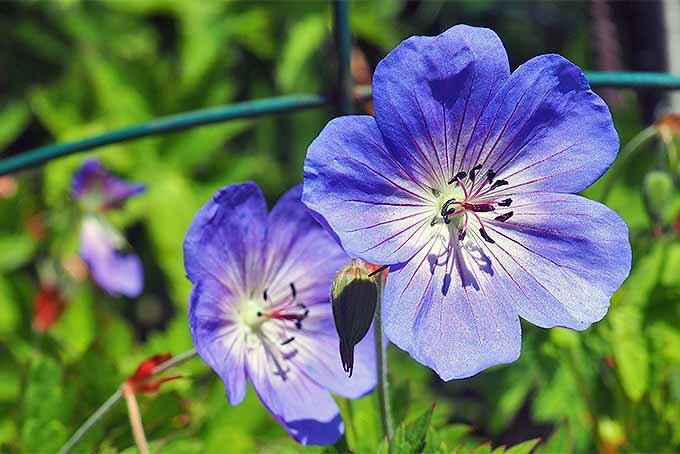 And now, here are 13 exciting varieties to love! A. millefolium ‘Apple Blossom’ or ‘Apfelblute’ is one of numerous Galaxy hybrids from Germany, and is a cross of A. millefolium and A. taygetea. 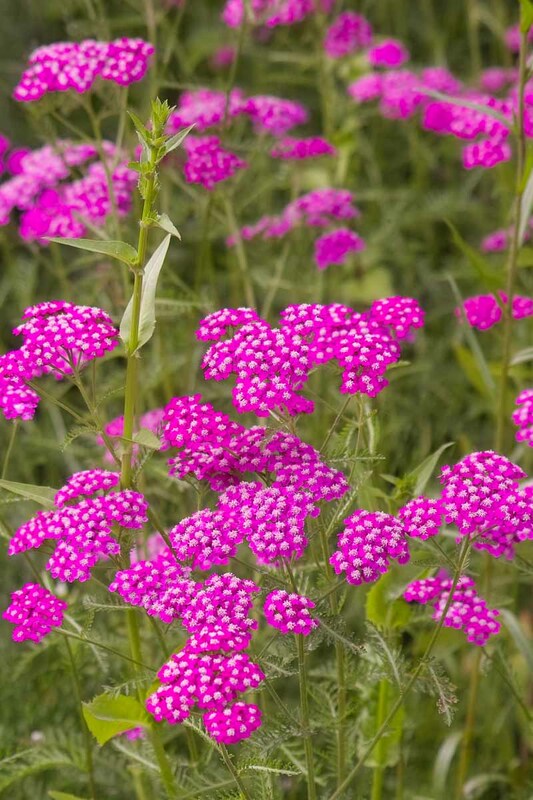 It has purplish-pink flowers atop upright, green-leafed stems that reach 18 inches to two feet in height. Flowerheads are two to three inches across. ‘Apple Blossom’ plants are available on Amazon in 2.5-inch pots. This A. millefolium cultivar is known for its deep pink flowers, with dark green foliage and a mature height of twelve to 36 inches. 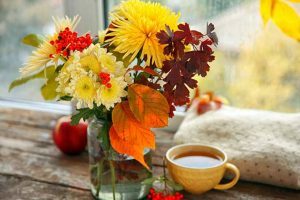 With a long vase life, you can brighten up the garden beds as well as rooms of your house with these pretty, colorful blooms. ‘Cerise Queen’ seeds are available from Eden Brothers in a variety of package sizes. A. filipendulina ‘Cloth of Gold’ is a fern-leaf cultivar that produces bright yellow saucer-like flowerheads up to four inches across, atop upright stems of three to four feet tall. Its silvery green leaves grow from the base of this clumping variety like ferns. ‘Cloth of Gold’ is available on Amazon in packages of 50 seeds. A. millefolium, aka common yarrow, milfoil, or soldier’s woundwort, is a white variety that may be somewhat invasive if allowed room to roam. Per The Perennial Garden: Color Harmonies Through the Seasons by Jeff and Marilyn Cox, much of it probably arrived originally in the US when it was dumped from English settlers’ ships, where it had been used as ballast for their journeys. 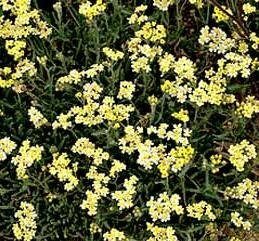 In addition, native white-flowering varieties were already growing here, including mountain yarrow, A. millefolium lanulosa, and western yarrow, A. millefolium occidentalis. Today, the introduced and native varieties are almost indistinguishable in the wild. White-flowering seeds are available from True Leaf Market in 1- and 4-ounce packages. A. filipendulina ‘Gold Plate’ is a fern-leaf cultivar. 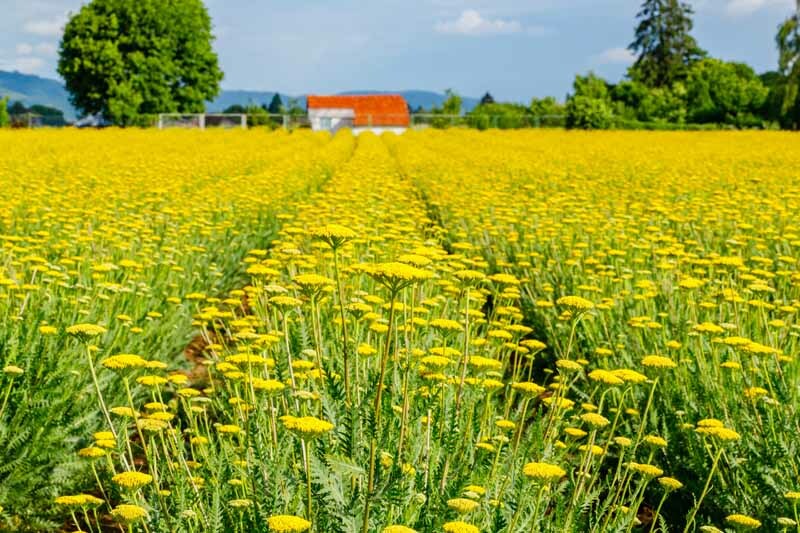 It boasts upright stems of four to five feet, and flowerheads six inches across in mustard-yellow hues. Its silvery green leaves arise from the base of this clumping plant. Other gold-flowered hybrids and cultivars include ‘Parker’s Variety’ and ‘Coronation Gold.’ Some reach six feet in height, and all make a bold, structural statement in an outdoor living space. Pair them beautifully with gold-centered shasta daisies. ‘Gold Plate’ seeds are available from True Leaf Market in 1/4 -, 1-, and 4-ounce packages. Have you heard of xeriscaping? 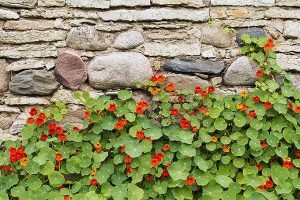 It’s a style of gardening that focuses on planting species that thrive with little intervention and the fewest possible natural resources. 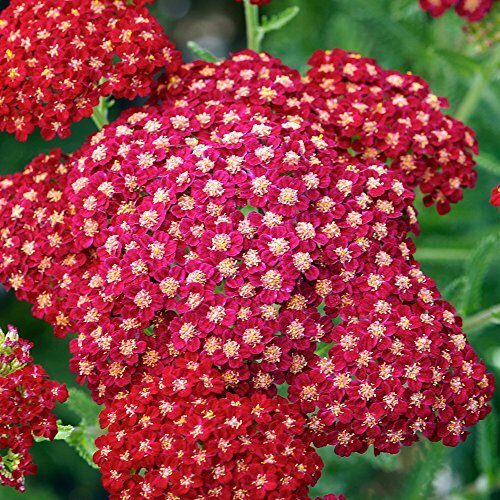 Yarrow is an environmentally responsible, waterwise garden choice. A. tomentosa ‘King Edward’ is a matting dwarf variety that’s perfect for rock gardens. 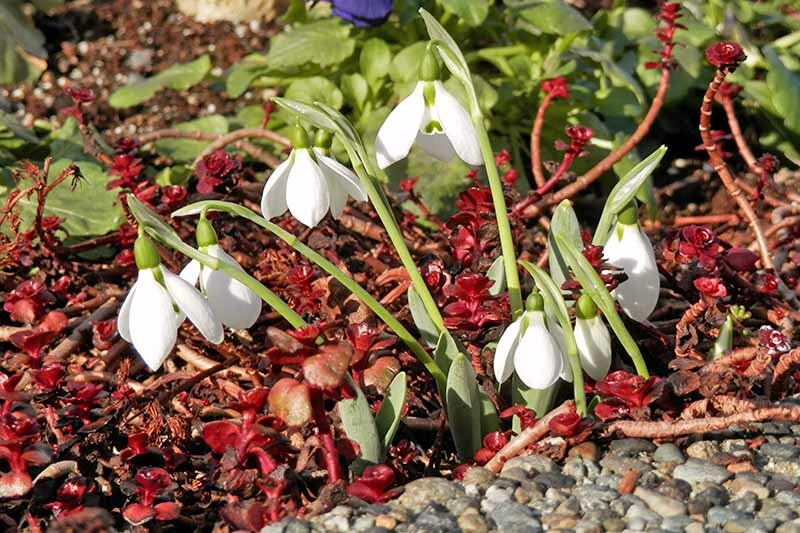 Its six-inch height also makes it a pretty ground cover for barren open spaces, and gives you the option of easily mowing it down at season’s end. This variety has small flowerheads that are pale yellow, and woolly leaves of silvery green. ‘King Edward’ seeds are available on Amazon in packages of 500. Another low-growing variety that you might enjoy is A. ageratifolia, which has white flowers, silvery-green foliage, and a maximum height of about nine inches. A. millefolium ‘Little Moonshine’ is another favorite variant, a compact, mounding plant that reaches nine to 12 inches in height, making it perfect for container gardening. Small flowerheads are bright yellow and leaves are silvery green. This is a recent variation of the original ‘Moonshine’ variety, a hybrid of A. clypeolata x A. taygetea. With a similar hue, it is full-sized rather than being a dwarf cultivar. ‘Moonshine’ plants are available on Amazon in quart containers. A. millefolium ‘New Vintage Red’ is a compact, mounding plant with medium-sized non-fading vibrant red flowerheads. Leaves are green, and stems reach 12 to 15 inches in height. 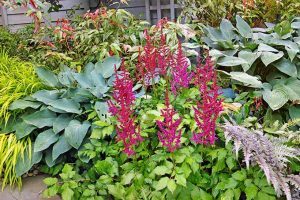 The intense color of this type is best as a stand-alone specimen in gardens and containers. A striking violet ‘New Vintage’ cultivar is available for commercial sale as well. 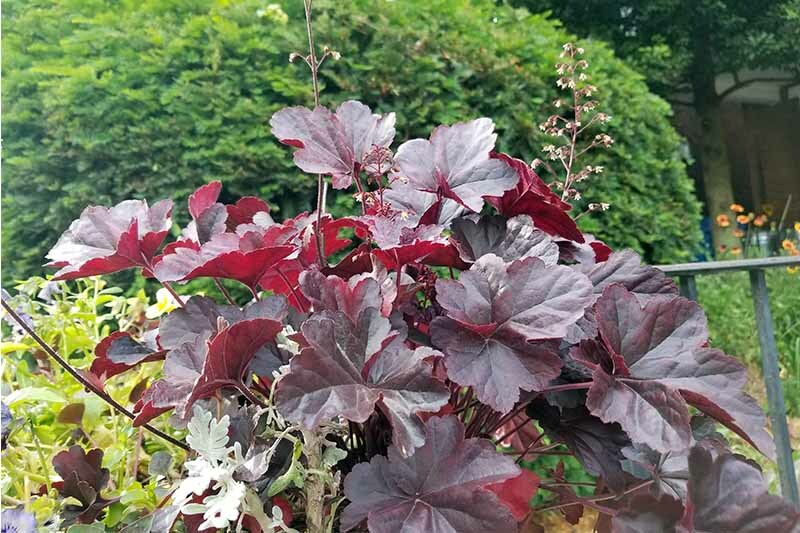 ‘New Vintage Red’ plants are available on Amazon in 1-gallon containers. 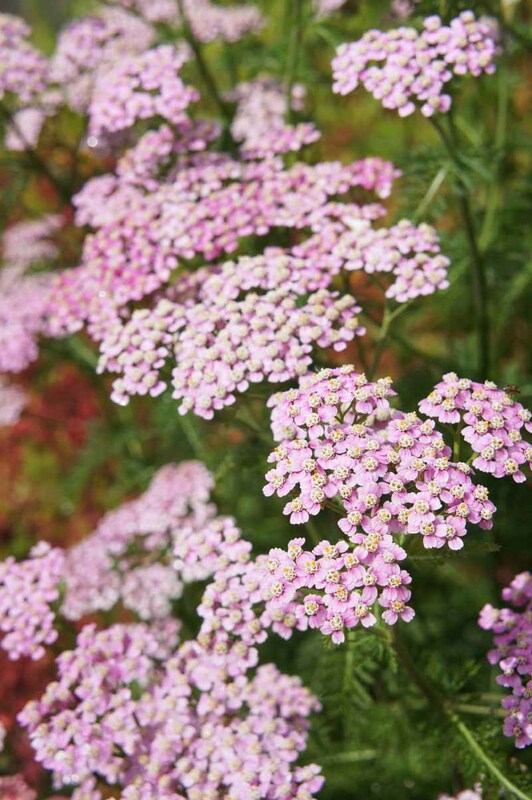 Are you wondering why yarrow looks like a dense mat of color? It’s because the flowerheads are in a corymb arrangement, a tight cluster in which multiple stems of varying lengths all top out together to form a flattened mass of dense, tiny blossoms. 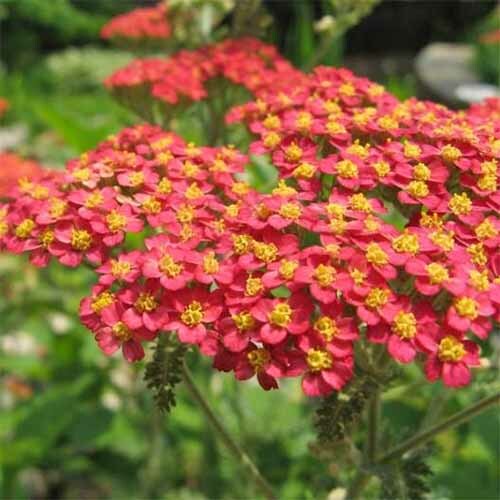 A. millefolium ‘Paprika’ is a Galaxy hybrid that has green leaves and dusty brick red flowers that measure a medium-sized two to three inches across. Blossoms fade to shades of pink, and perch atop upright stems that top out at 18 inches to two feet tall. ‘Paprika’ seeds in packages of 25 are available on Amazon. Red yarrow (A. millefolium rubra) is a vibrant, brightly colored variety with rusty red blooms that are excellent for attracting pollinators. Reaching heights of twelve to 30 inches, it’s perfect for bouquets or saved as a dried flower. A variety of package sizes – from 400 milligrams up through a whopping 1-pound sack – are available from Eden Brothers. 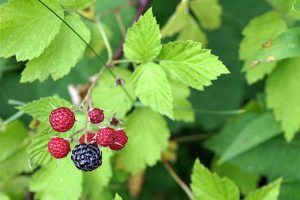 From the Seduction series of plants comes A. millefolium ‘Strawberry Seduction,’ with medium-sized flowers that resemble red, ripe strawberries, and fade to straw yellow. Characteristic of this series, its green-leafed stems grow in compact mounds that reach 18 inches to two feet in height. It tolerates heat and humidity exceptionally well. Plant en masse, or in a container on its own for a focal specimen. 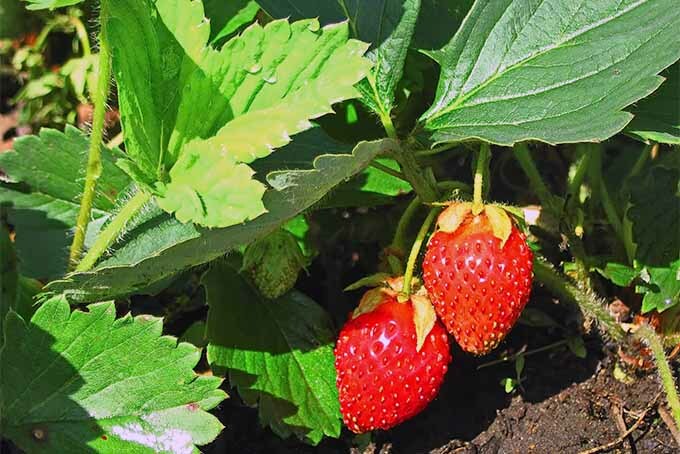 ‘Strawberry Seduction’ plants are available via Amazon in gallon-sized containers. 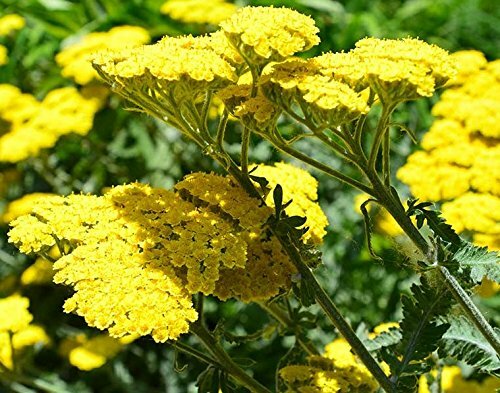 Note: All Achillea cultivars are members of the Asteraceae family that includes daisies, sunflowers – and ragweed. Some people may be allergic to it via pollen inhalation or skin contact. 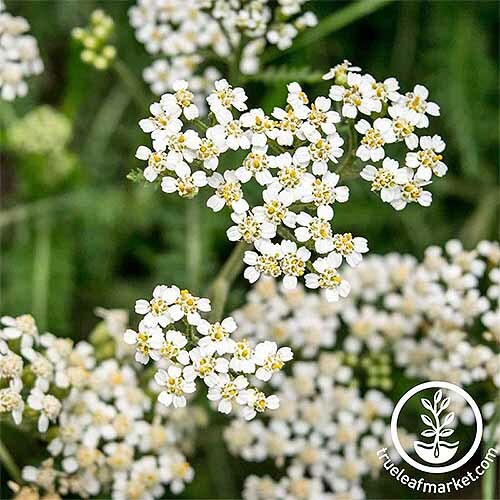 In addition, the ASPCA warns that yarrow contains toxins that, if ingested, may sicken cats, dogs, and horses. 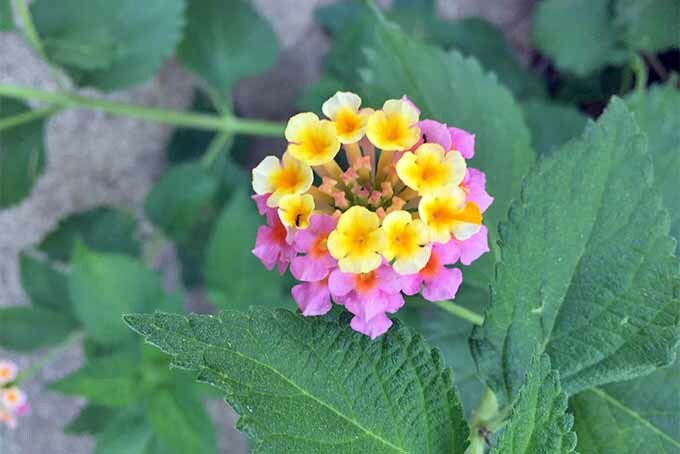 A. millefolium ‘Summer Pastels’ is a Galaxy hybrid that offers multi-colored medium-sized blossoms in an array of light hues, including pastel shades of mauve, orange-red, pink, purple, rose, and salmon. These top green-leafed stems that will reach 18 inches to two feet tall. 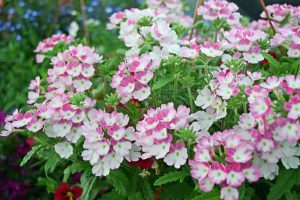 This is a compact, mounding variety that does well as a filler in mixed patio containers. Known for its excellent tolerance of warmth and humidity, its colors may fade during heatwaves. 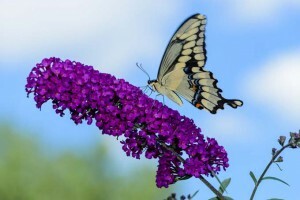 The ‘Summer Pastels’ variety is available on Amazon in packages of 1,000 or 2,000 seeds. 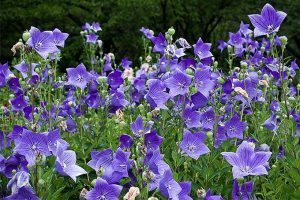 The Seduction series of plants offers sturdy, compact foliage and a long bloom season. A. millefolium ‘Sunny Seduction’ has green leaves and medium-sized muted yellow blossoms atop stems ranging from 18 to 30 inches tall. 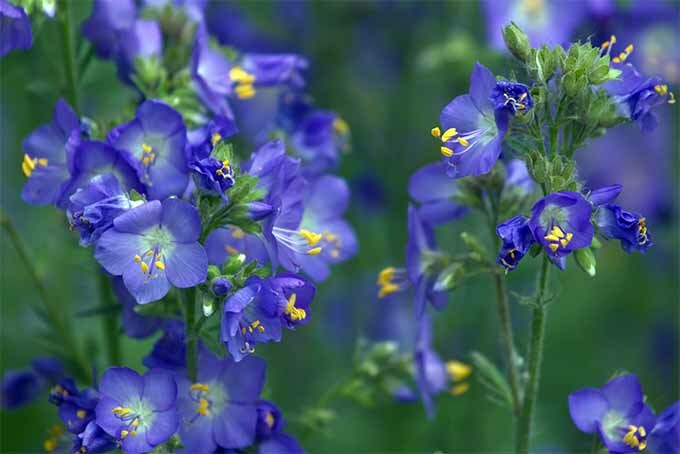 It’s an excellent filler in containers, particularly those with blue specimen plants such as sage or gilia. ‘Sunny Seduction’ plants are available from Nature Hills Nursery in 5-inch containers. Widespread in Europe, it has naturalized in scattered areas across the US as well. Flowers exhibit varying shades of white, and it is sometimes called “sneezeweed.” But it is not to be confused with common sneezeweed (Helenium autumnale), which is poisonous to humans and animals. Yarrow earns its keep where other plants fail to thrive. And it sure saved the day for me. I had all but given up on a dry, gritty patch by the driveway that grew nothing but scraggly weeds. I had tried amending the soil and watering constantly, but the hot blacktop seemed to create a microclimate just short of desert. 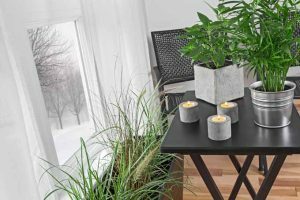 So, whether you’re already a fan, or have just discovered it today, you’re bound to enjoy good value and a pleasant view when you introduce one or more of our 13 varieties to your outdoor living space. If you live in a humid region like I do, always opt for green-leafed plants like those in the Seduction series. They know how to handle sticky summer weather. 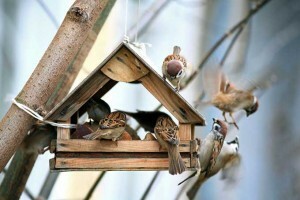 If you don’t have any barren places begging to be rescued (lucky you! 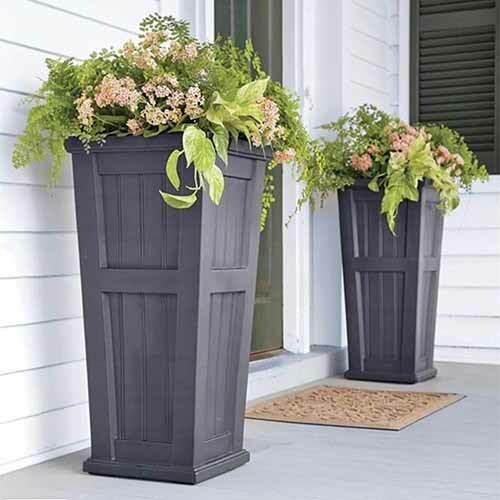 ), you may want to enjoy it in brightly colored containers like this tall planter, available from Plow and Hearth in anthracite gray, apple green, iris purple, or white. What would you say to two of them flanking your front door, complemented by a profusion of bright yellow yarrow? I’d say, bring on the curb appeal! 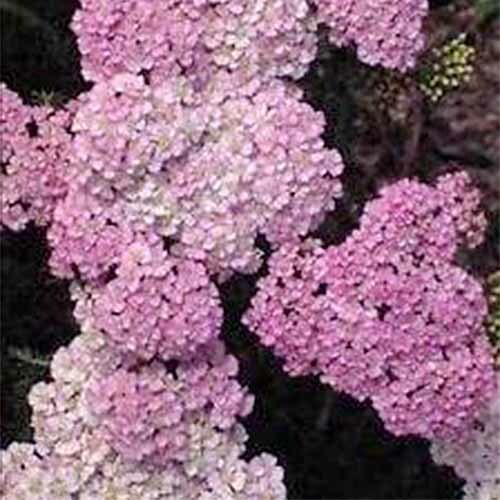 In addition to beautifying the outdoors, yarrow is an exceptional cutting flower. You’ll know it’s time to harvest when the blossoms open and reveal the pollen within. They’ll last at least a week in fresh arrangements, provided you snip the stems and change vase water daily. For everlasting displays, cut in the same fashion and hang stems upside-down to dry. 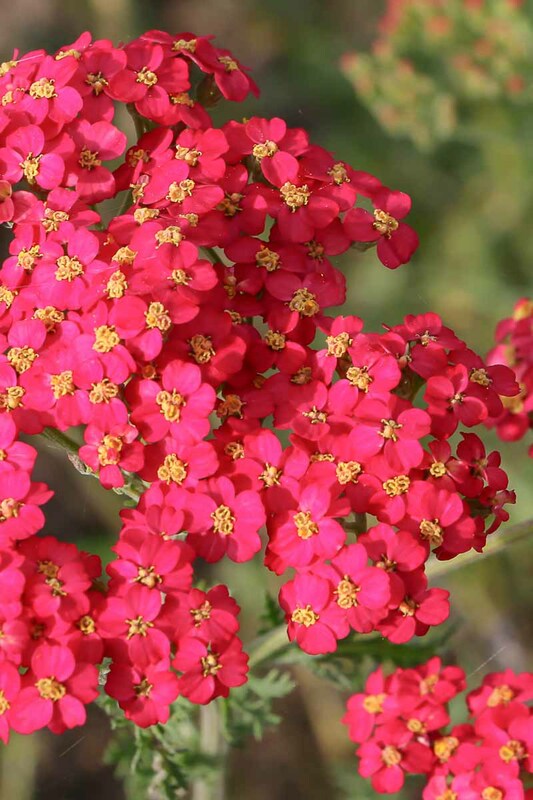 Enjoy true color and that classic yarrow aroma for months to come. Are you ready to turn barren spaces into beautiful focal points with sturdy foliage and vivid color, year after year? Share your stories about this flower favorite with us in the comments below. Product photos via Oak Creek Grower, Stupid Girl, Rodale Books, True Leaf Market, Hazzard’s Seeds, Perennial Farm Marketplace, Mountain Valley Seed Co., Hirt’s Gardens, MyS, Grimm’s Gardens, Nature Hills Nursery, Outsidepride, Eden Brothers, and Plow & Hearth. Uncredited photos: Shutterstock. With additional writing and editing by Allison Sidhu.